In 1952 Blayney and his wife Almeda Scott started a small company in Victoria, British Columbia, Canada that pioneered the use of plastics in the manufacturing of salmon fishing lures and other marine products. 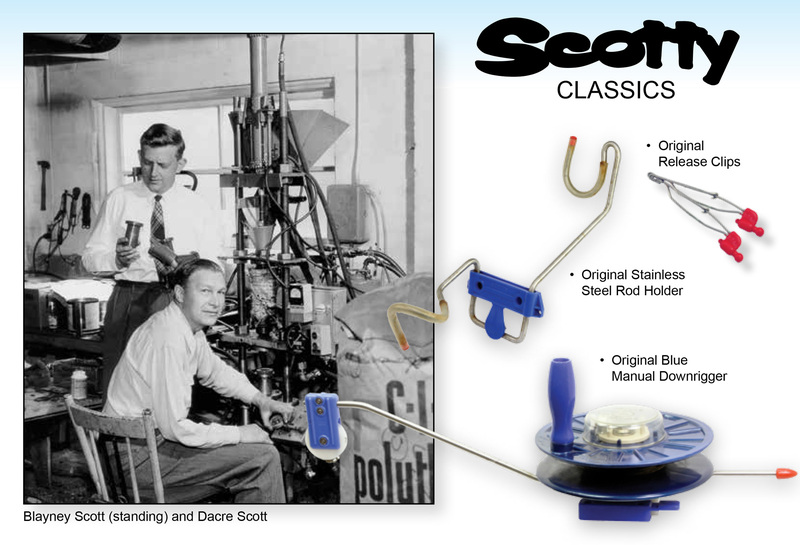 From humble beginnings, Scott Plastics Ltd. has evolved to produce thousands of products under the Scotty Trademark which are sold into the fishing, marine, outdoor and firefighting industries worldwide. In this time the Scotty trademark has become recognized to mean one thing – product excellence. The total commitment to quality, fair pricing and unmatched service means our customers everywhere can expect reliability and satisfaction from every product that carries the Scotty name. Here you will find Scotty products to fit your fishing and boating needs. From our downriggers, rod holders all the way to safety equipment for your boat.